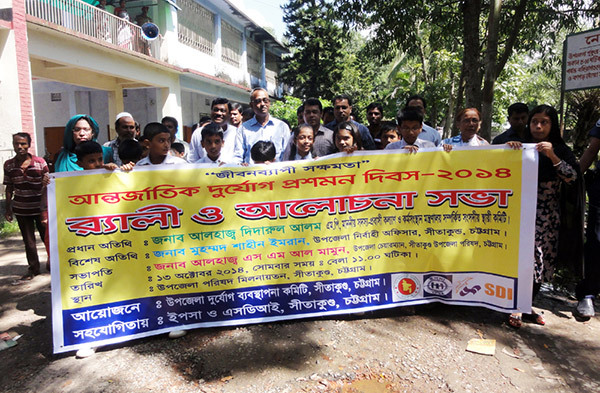 Sitakund Upazila Disaster Management organized rally and discussion meeting to mark the International Day for Disaster Reduction 2014 on 13th October with the support of YPSA and SDI. The event took place at Sitakund Upazila Parishad, The discussion meeting was presided by Muhammad Shahin Imran, Upazila Nirbahi Officer, Sitakund. 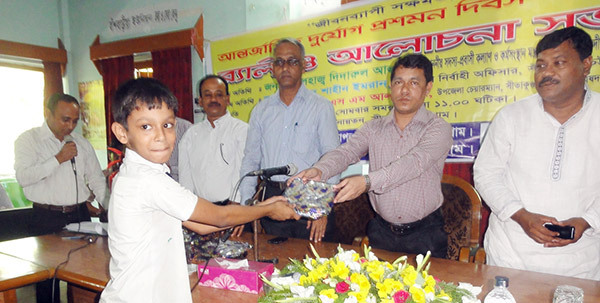 Students of different schools and colleges attended a Art competition and Essay writing competition on Disaster management. Winners have been awarded and some volunteers have been given life jackets in the program.